The previous post (Utility Function of Wealth) discussed and described the typical general shape of the utility function of wealth, and touched on some applications. Here, we will consider a special case, with an exact curve. Consider a rational trader – a trader that is emotionally detached from his account, and whose objective is to maximize growth of his account in the long term. For such a trader, it is equally difficult to achieve some % growth on a small account, as it is to achieve that same % growth on a large account**. They are equal accomplishments. They are equally “good”. 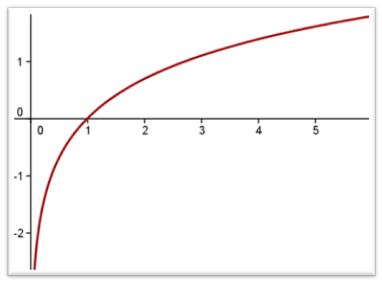 The function that satisfies this observation is logarithmic. So our utility function is logarithmic in the account size, if we interpret this difficulty/accomplishment/”goodness” as utility. Optimizing expected change in logarithmic utility for each trade leads to optimal geometric growth, which leads to maximal account size in the long run. Recall from the previous post that the curvature of utility discouraged gambling. Simply put, a win of, say, 20% does not recover a loss of 20%, and that is why taking a 50-50 gamble on 20% is a bad idea; you would lose in the long run. However, if the odds are tipped in your favor sufficiently, then taking the gamble becomes rational. How much should the odds be tipped before it becomes rational? Enough so that the expected change in utility (rather than the expected change in wealth) becomes positive. But for a trader it is more useful to consider the matter from a different perspective: How much risk (exposure) should I take on this trading opportunity, where I know how much the odds are tipped in my favor? This question will be addressed in the next post: Optimal Market Exposure.